Today was the day. Aaliyah lay in bed waiting for the alarm clock to go off. She barely slept the night before. Too excited to sleep, she had roamed around the house, muttering to herself and watching her children sleep. Now she lay awake listen to Antonio’s steady breathing and wondering how she was going to tell him. He had no idea she was going to Appaloosa with Rae’s ashes this afternoon. The one time she tried to bring it up, he’d been furious. Trying to fix the computer, Aaliyah had casually brought up the phone conversation with Dr. Gates. “No. We are not messing with my daughter’s ashes Aaliyah. And that’s final.” Antonio had been adamant about it. Antonio said nothing else and just picked up Sarah and walked away. That was last week, and Antonio was still not ready to listen. How could he not understand what this meant to her? Well, she would just do it without him. The alarm finally went off and Aaliyah got up to tend to her children and get ready for her trip. “Haha, very funny mom. Bye!” Adeya waved and ran to the bus. Aaliyah walked to the kitchen to eat the breakfast that Ms. Kasey, their butler prepared. The fact that Antonio convinced her into getting a butler still made her shake her head. She had to admit, however, that having an extra set of hands around the house was very welcome. She’d spent her whole life trying to stay away from the rich, famous and royal lifestyle, just to end up marrying a man who was richer than some small countries and extremely comfortable in that lifestyle. Sighing, Aaliyah grabbed a plate of French toast and sat down to eat. Before she could take a bite, one of the twins started to cry. Smiling, Aaliyah picked up a fork. Hmmm, she loved her husband. Even when he was being unreasonable, he still managed to be sweet and caring. After a long day, Aaliyah finally landed in Appaloosa. 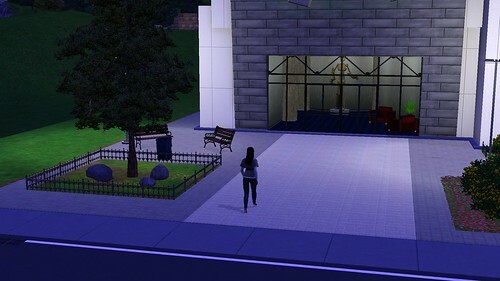 Heading straight for the Science Facility, Aaliyah couldn’t help but feel slightly nauseous, but she was also excited. After years of mourning, she was finally going to get her baby back. The woman handed her a visitor’s pass and pointed out the proper elevator banks. Aaliyah was so nervous her stomach was in knots. She wished Antonio were here with her and felt very sad that he was so against this idea. Reaching the fifth floor, Aaliyah stepped out and saw a man waiting for her. The entire process took about three hours. Aaliyah was shown to a room filled with knick-knacks to keep a waiting person busy and was left to wait. Finally, Dr. Gates stepped into the room, looking grim. “Please tell me it worked doctor.” Aaliyah looked up at the man who held all her most fragile dreams in his hands and felt a sudden chill up her spine. Her aunt warned of this. She should have listened. “Of course.” Dr. Gates left for a moment and came back in with something that looked like Rae but wasn’t. Trying to hide her shock, Aaliyah put her hands to her lips to hide her gasp and took an unconscious step back. 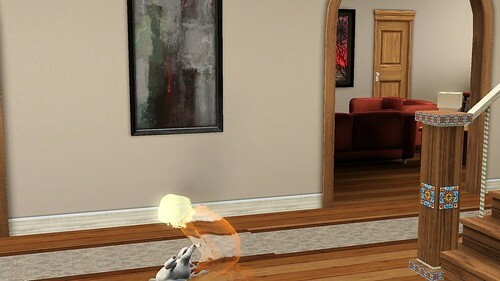 She was staring at the ghost of Rae. “Mommy?” Rae’s ghost said, her voice ringing with a slight echo, as if she was speaking from inside a long tunnel. Aaliyah looked down at her daughter and pulled her in for a hug. If she closed her eyes, it was just like hugging the real thing. She suppressed her urge to cry and with one final squeeze, let Rae go. Once they were outside the Science building, Aaliyah called for a car to take her and her daughter home. When Aaliyah got home, Antonio and Adeya were nowhere to be found and Darling and Rufus were missing too. Assuming they went for a walk, Aaliyah showed Rae around the house, realizing that everything would be new to her. The tears had come then and thinking about it now, looking down at her sweet Rosie, the tears were back. She reached down and pulled Rae into a hug. Aaliyah spent the rest of the evening introducing Rae to the toddlers, who seemed overjoyed at this new playmate and waiting for the other half of her family to get home. When they finally came back, Antonio took one look at Rae and his lips thinned out in anger. He kissed her on the forehead and murmured something to her before turning around and walking upstairs. Darling was beside herself with happiness. She kept running around until Rae reached down and rubbed her belly. Aaliyah smiled at the display but glancing up the stairs, she felt her mood turn sour. Antonio was not pleased. Leaving the girls downstairs, Aaliyah went to look for Antonio and found him watching the twins sleep. Glancing up at her approach, Antonio stared at her impassively. “Hey.” Aaliyah walked over to him and looked down at A.J. sleeping. Aaliyah sagged a little in relief. He was finally speaking to her. “No. I’m angry at the driver who killed our baby and placed us on this path. But I could never be angry at you for wanting our daughter back.” Sighing, Antonio reached out and brushed a stray strand of hair back from Aaliyah’s face. He leaned down and kissed her softly. Aaliyah reached over and hugged him. She was so lucky to have this man in her life. Aaliyah woke up, feeling too warm. Looking over, she saw Rae sprawled on the bed, with Antonio nowhere in the room. Leaning over, she realized the heat was coming from Rae. She was way too hot. Hearing the door open, she glanced up to see Antonio walking in with a glass of water in his hand. “Ah, Lee, do not ask questions you know the answers to. Tell your family I said hello. Goodbye now.” And Chinwendu hung up. Aaliyah stared at the phone for a while before hanging up. “What? How did she know -” Antonio stopped midsentence and shrugged, putting the glass of water down on the dresser. Aaliyah smiled at him and scooted out of bed. What did she do to deserve this man? Aaliyah nodded. Rae took a lot of showers. Aaliyah soon realized that Rae’s body temperature rose at the same time every night. The potion her aunt gave her helped and Rae never got as hot as she did that first night, but Aaliyah called Dr. Gates anyway. She needed to know what was going on. Aaliyah’s heart felt like it stopped beating. Rae was experiencing her death every night? She’d brought her daughter back just so she could relive dying? Aaliyah decided that home school was the best option for Rae. And after talking it over with Dr. Gates, he sent over some learning packets for Rae and she enrolled in some online courses through his Science facility. The Torres family fell into a comfortable, if not exciting, pattern. During the day, Adeya attended school in town while Rae took her online classes. Aaliyah and Antonio would watch the twins together in the morning, and Antonio would work for most of the afternoon when the nanny came in to help Aaliyah. It wasn’t an ideal situation, but it worked for everyone involved and Rae was connected to other individuals like herself through Dr. Gates. They were a quasi-normal family and that worked for them. Awww 😦 I’m sorry that her decision to go through with reanimating Rae is causing strife in her marriage, but I agree with Aaliyah, I think if there was even the slightest chance, I would take it too! And as I read the chapter further, OMG, it worked–sorta. Poor little Rae had no body to go into. But its still better then nothing. How sad. I felt my throat constrict a little bit reading this, like I was going to cry. Love it. Antonio has gone through losing family before and knows that you can’t really start to heal until you learn to let go. He’s not really upset that she wants to do this, he’s just worried about the disappointment she might suffer. In the end, he’d never tell her what she can or can’t do. But he does want his opinion to matter.